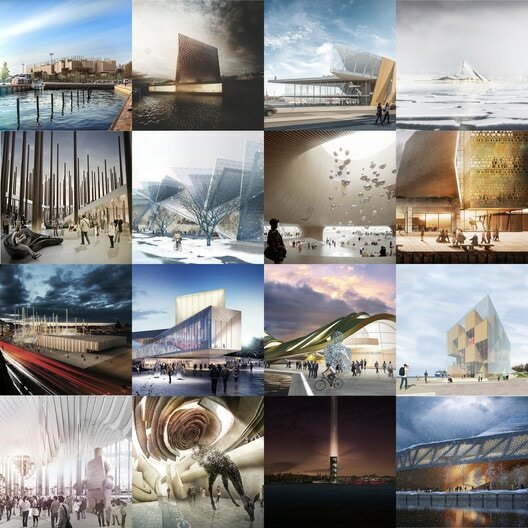 ArchDaily (http://www.archdaily.com/), the respected online architectural magazine published its top 32 picks out of a total of 1715 entries to the Guggenheim Helsinki Design Competition. atelier V is proud to have its entry selected by its peers as of the top entries in this important international competition. 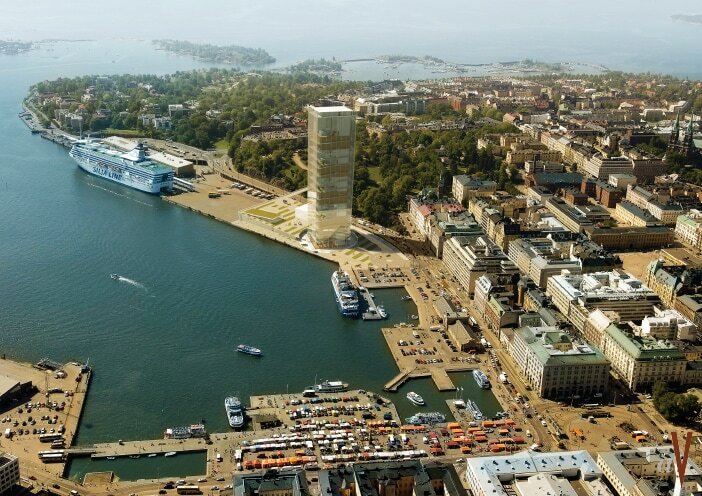 Given the strong maritime history of Finland, location of the museum site at the Etelasatama, the symbolic gateway to the city from the sea and the need for the museum to be the new cultural icon of Helsinki, our concept draws from the most prominent seaside structures of Finland’s history: Majakat or the Lighthouse. These structures always taller than anything around them, highly visible both day and night, were first symbols of the civilization lying beyond their maritime border. Guggenheim Helsinki becomes the 21st century cultural symbol of Helsinki at Etelasatama entry point much the same way as the traditional Majakat (lighthouses). The new structure along with The Helsinki and Uspenski Cathedrals triangulate to cement the place of Helsinki amongst World Class cities. We propose here a very horizontal contrasted by a very vertical place of gathering for families and visitors, a place to navigate through and take in the views, and view art at one’s own pace and pleasure. The small footprint, height, and prominence of a typical light house as metaphor, and the modernist heritage in Helsinki thus become the ideal starting point for our concept for the new Guggenheim. The area of Hollywood east of 101 freeway has always played second class to “Real Hollywood” to the west. Recent redevelopment efforts have had a big effect in revitalizing the area especially between the Hollywood Freeway and Vermont and several mixed use projects have either been built, are under construction or entitled and ready to go. 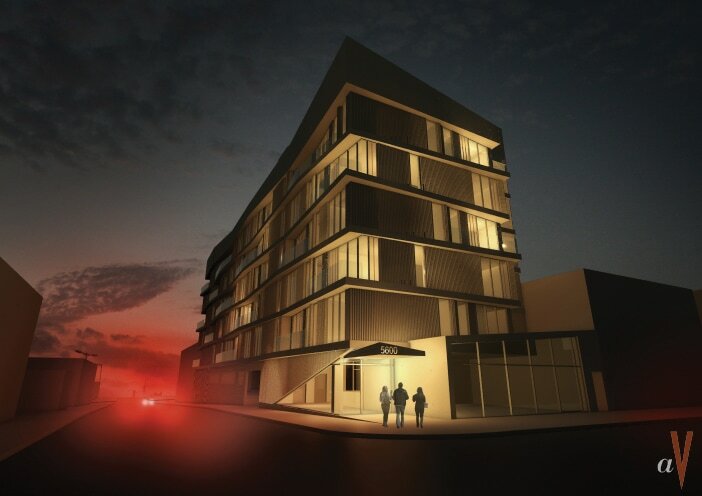 atelier V : architecture (www.atelierv.com) has been engaged to design an 80-room boutique hotel in the area contributing to further revitalization of the Hollywood Blvd. corridor east of the freeway. ”The area is zoned R-5 restricting all hotel development to lower densities per the Vermont/Western Specific Plan, while the proximity to the Metro and the dense urban fabric calls for higher density development, this is an issue that we will be struggling with the Planning department on” Says Mark Vaghei, AIA, atelier V’s Principal in Charge. Avanti cafe has been serving Pasadena residents with one of the best original wood fired pizzas anywhere in the nation since 1986. In fact their pies have been named number one pizza in Pasadena for 17 years in a row. 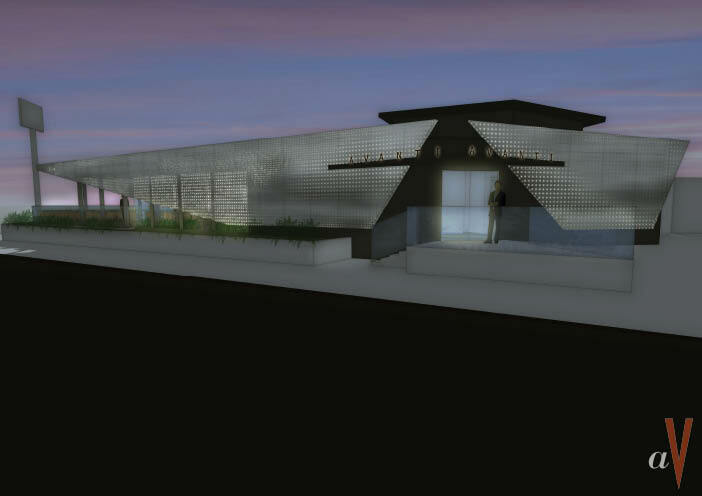 When the Owner/Proprietor Bobby and Mina Ghofranian finally thought of opening a second location due to popular demand, they came to atelier V : architecture to design it for them. ”Bobby is what I call a tireless warrior, when he came to us we all wondered what took him so long ! their food had been so good for so many years that an expansion seemed almost inevitable “ says Mark Vaghei, AIA, atelier V’s Principal in Charge. This time however, Bobby Ghofranian wanted to take his legendary Italian fair to a new level. He purchased the old Spring Garden Chinese restaurant at 187 Sierra Madre, an old establishment owners of which had retired. 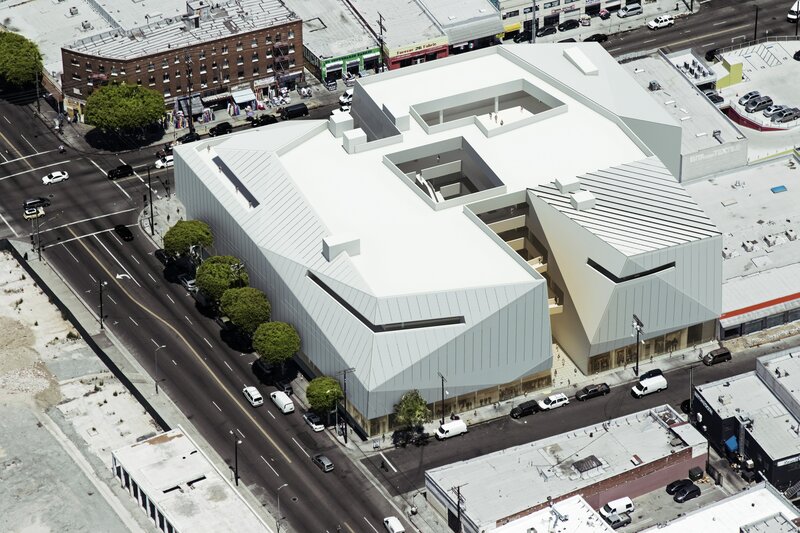 ” The existing building was a a 50 year old tired looking triangular mess of a structure, we basically had to gut it down to its old tired frame and start all over” Says Mark Vaghei, AIA. Back in January(2013), we published an article under the heading: “Dialogue of two homes”. 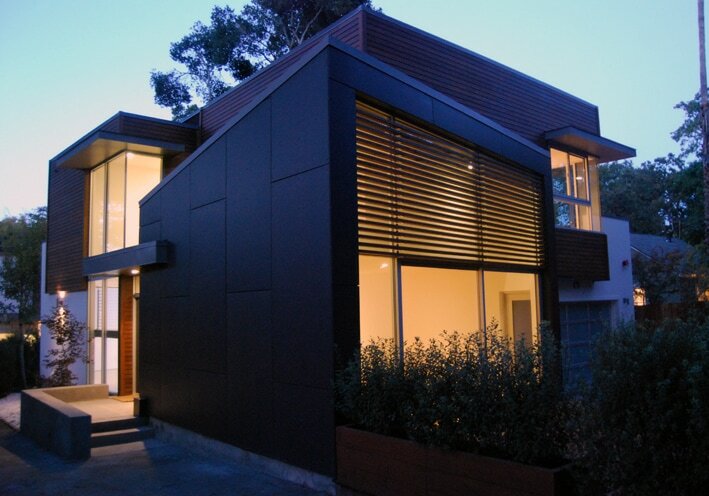 That was when the design process for the two speculative residences on Bishop lane in Menlo Park, California had been completed. Well, 10 months later, they are finished and sold at record prices. “We always thought Design sells, we also knew that Modern when done with care has its followers, but never in our wildest dreams did we think that these homes would sell in under 3 weeks, this confirmed our view that Modern is in play” Says: Mark Vaghei, AIA, atelier V’s Design Principal. Now, its not a hidden fact that the housing market has been sizzling, but there had to be other factors in play besides a hot market to sell these homes. “Setting ourselves apart with a modern language while respecting the context made all the difference in the world! ; in the first open house, we had people falling in love on the first sight, there was nothing more satisfying than that!” Says Mark Vaghei, AIA. Vews, ateliermarkvaghei news, attempts to create a dialogue between the firm and the outside world on a regular basis.